MicroSD cards…the bane of my existence. 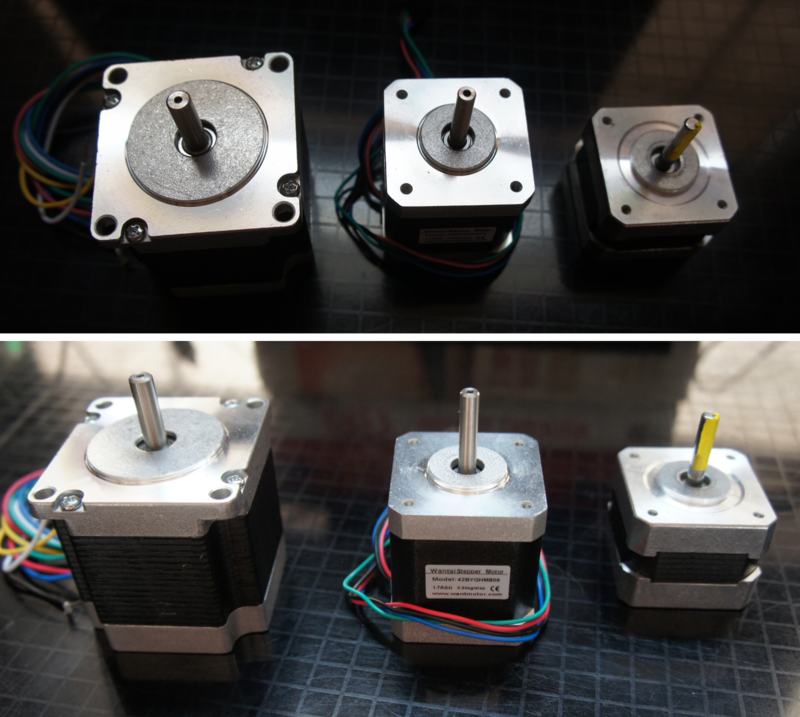 Months ago, I received the cable for the inexpensive stepper motor, only to find that it could not produce enough torque without being geared. So, I ordered three additional steppers (thanks Sparkfun) that produce increasing amounts of torque – the largest of which more than triples the torque provided by the little $10 eBay special. I was waiting on the motors to arrive, expecting that all I would have to do is swap out the motor and double-check the power specs for the motor input. Five-minute job to finally get this up and running, right? WRONG. Swapped out the motors, checked the power, and, what’s this? The damn Raspi is down! My TightVNC setup wouldn’t remotely connect to the Raspi. I checked the lights on the board, and something wasn’t right. I dragged the old keyboard and monitor to the Raspi to see if I could get any kind of signal, but no luck. Checked the contacts on the microSD card adapter, and ultimately plugged it into my laptop. Laptop tells me I have to format this card before I can use it. How amusing. It’s corrupt. I should have made an image of the card after installing everything, because I now have to start from scratch on the software side. And though I took notes in an annotated log file while I initially setup the Raspi, I started running into errors the second time around, so it’s more work than I was hoping for. Because my priorities currently lie with Quantified Vapor, I have not made the time to push through on this just yet. I have to go on to say that MicroSD cards are killing me. I’ve had two of them fail in my latest phone, two failed in my previous phone, and now this one failed in my Raspi. And this doesn’t include DOA cards. I’m pretty big on hardware, having built my first desktop PC from scratch in middle school, so I’ve bought more than my share of spinning platter HDDs. I’ve only had three HDDs fail on me, and one of these got bad sectors because I physically knocked it off a table. Compare HDD failure rates to microSD cards, where about 50% have randomly failed. Maybe my body exerts some sort of crazy magnetic field that only affects my SD cards.